Our leadership is comprised of spiritual care professionals, physicians, and community leaders who support the mission and vision of Ziyara Muslim Spiritual Care. The team is comprised of a board of trustees, executive board, and an advisory board whse members provide guidance as well as promote Ziyara’s mission and vision, national and international. Board of Trustees: The board members meet once a year and oversee the sustainability of Ziyara and its governance, as well as make sure Ziyara has adequate resources to advance its mission. Executive Board (Alphabetical Order): Members meet monthly and communicate on a regular basis to implement the programs of Ziyara. Officers lead its committees including the president, vice president, secretary, and treasurer. Kamal completed chaplaincy 4 units of Clinical Pastoral Education (CPE) and residency at Stanford Hospital & Clinics and CPE of Central CA. 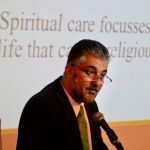 He is the founder of Ziyara, and leads local, national, and international seminars to train spiritual care providers in various Muslim countries. For more information, email shamsieh@Ziyara.org or call (559) 244-9360. Sakinah was born and raised in Malaysia. She spent ten years in the oil & gas industry, with experience in project management, international relations, communication and corporate social responsibility. 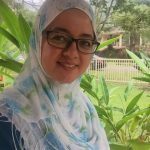 Since then, she has ventured into the education and health field – currently serving her community through coaching, counselling, as well as volunteering in hospices and disaster relief missions. Sondos works at Hoag Hospital as the program’s first Muslim chaplain taking care of patients of all faiths but focusing on Muslim patient care. She currently serves at Hoag Irvine as a staff chaplain and as an educator on Muslim spiritual care matters. Sondos previously served as President of the Board of Directors at the Islamic Center of Irvine (ICOI). 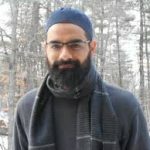 Sharif serves as the Muslim Chaplain at Williams College, a distinguished liberal arts college in the Northeastern United States, as well as Chaplain Intern at Dartmouth-Hitchcock Medical Center. He is the Vice President for Healthcare Chaplains with the Association of Muslim Chaplains, and the Co-President of the Association of Campus Muslim Chaplains. He is a contributing writer and question respondent with SeekersHub, an influential online Islamic learning platform. Ch. Sharif embraced Islam in 2002 and comes from a multi-cultural, ideologically diverse background. Taqwa works as Cancer Care Chaplain at Stanford Hospital. 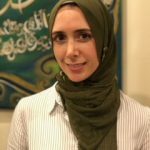 For a decade, Taqwa served as a Spiritual Care volunteer at Stanford and other local hospitals in the San Jose area. Her interests include oncology chaplaincy, how people of different faiths view end-of-life situations and advance health care planning. 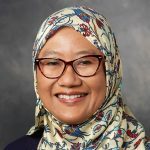 Taqwa came to the US in 1998 from Jakarta, Indonesia where she and her family established a home in the Bay Area.